We have added a matchstick tool to FX Draw. This allows you to quickly draw matchstick diagrams that can be used to teach students how to identify patterns. 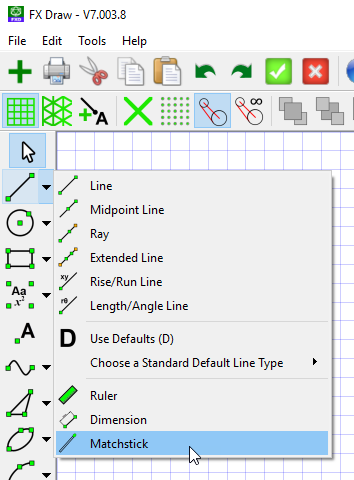 The new tool has been added as a “line tool”. The tool allows you to draw matchsticks in three sizes, each with five different rendering styles. This new feature was the direct result of a suggestion from a user and appears in the September 3 release of FX Draw (V7.003.8). Thanks Marian!